Many independent studies have confirmed that the area of the proposed Reserva Marina Álvaro Ugalde Víquez is essential habitat for a great variety of both resident and migratory marine species. This includes charismatic species such as whales, dolphins, and sea turtles as well as other species which together have high biological, commercial, recreational and economic value. They are being threatened by indiscriminate and unsustainable commercial fishing – specifically shrimp bottom trawls, purse seines, gillnets and longlines. Recovery of this important area will generate significantly increased marine productivity that is especially important to both pelagic (billfishes, tuna, dolphin) and demersal (e.g., snapper, grouper) fish populations along this coast which make this part of Costa Rica a world-famous sport fishing destination. 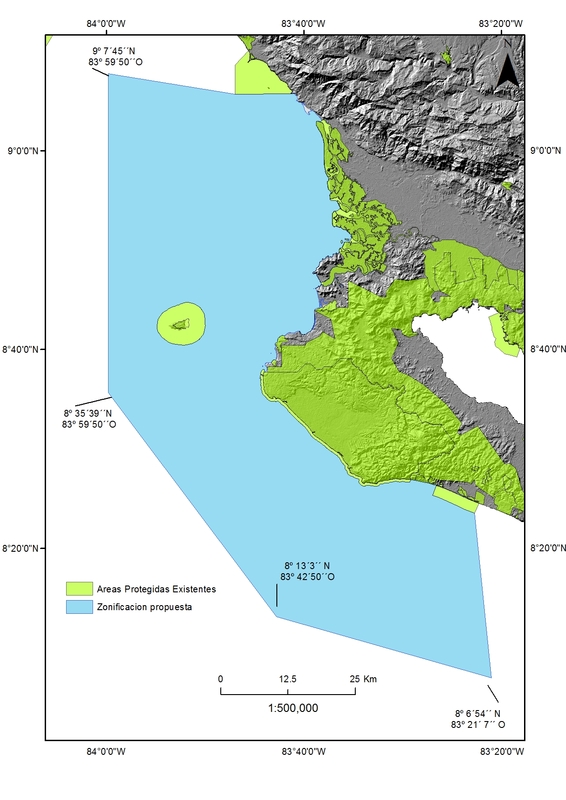 The proposed Bill is supported by many independent studies including that contracted by the Tropical Science Center, which provided justification for the decision to propose creation of this new protected area. The Bill, No. 20.333, for the creation of the Marine Reserve is now before the Congress’s Environment Commission prior to its submission to the full Congress for a vote. It is now requesting public comment to be received prior to mid-November. Eco-tourism is permitted since it is very important to the country and ecologically benign. Sport and artisanal fishing is also to be permitted, especially catch-and-release, for the same reason. The main goal is to provide protection from damaging activities and to promote those that are relatively harmless. As the Reserve matures, bottom habitats will quickly recover allowing young fish and invertebrates to hide from predators; they are now being fully exposed by shrimp bottom trawls that are effectively “clear-cutting” bottom habitats that should look like a miniature forest. This will produce an explosion of all forms of marine life. Sport fishing will benefit tremendously and that will draw many more resident and traveling sport fishermen to Costa Rica’s Pacific coast thus benefitting the hotels, restaurants, bars, tourist activities, etc. surrounding each marina community as well as the rest of the coast.